Forever I’ve been saying “I’m going to make a game!” Or “I’m working on a game!” Well after a lot of trial and error I settled down with Construct 2. GameMaker in the end just wasn’t for me. It’s drag and drop frequently didn’t work and didn’t make sense and I couldn’t make heads nor tails of the scripting language. I kept hitting a wall. So far in Construct 2, I am very comfortable. I am looking forward to Construct 3 and there’s a number of features I am very excited about. I will continue to use Construct 2, especially considering that the new version will be subscription based. So far I have successfully created items to collect, yet no scoring system or high score and health damage and starting the entire level. I would like to learn how to make a “respawn to last location” feature and a high score. I’m also still trying to learn a hearts style health bar. I’ve made an awful lot of pixel art for it. A lot of the tilemap packs I gave away for free because I’ll be honest, I will never use them again. My style changes so often that I frequently move on to “something better”. I think I will for a long time until I find my comfort zone. I have decided to go back to raster and vector art for games though. 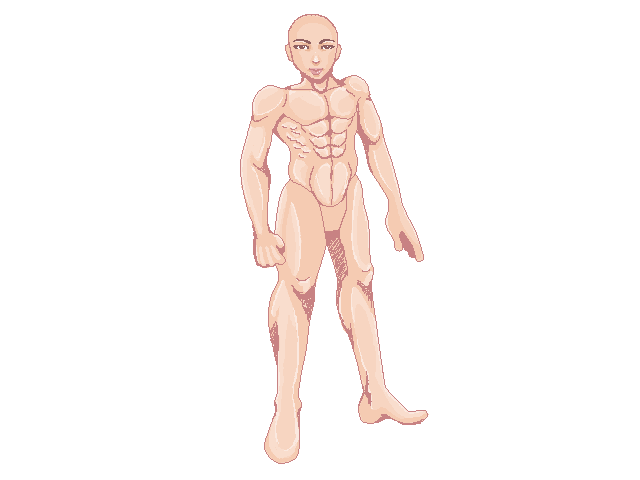 I feel limited by my art style and animation. Perhaps in the near future I can start sharing some screencaps. In the meantime enjoy this gif. And please consider the ugly art, is just test art to learn the program and get started. I also have yet to learn how to adjust the camera view. I had to give up aspirations of making a game. Doing it solo, was far to hard. But I have an urge to try again and of course I will and I will certainly fail. My biggest issues are lack of knowledge and no scripting skills. I am still looking around all the time for a course on C# that’s either legit or all online but I can’t afford the ones I’d like to try such as lynda.com or VTC. Maybe one day I’ll find a way to learn it. Anyway, whatever I make will inevitably end up on here so stay tuned as I readventure my way through the pains of trying to make a simple game. Help Launch ProjectTrinity’s Biggest GameImage By annria2002. Made for my game. I’ll be commissioning her for the entire game if we successfully fun this project enough.